On the 5 Days primates Uganda safari, you will visit the UNESCO world heritage site Bwindi rain forest and Kibale forest national park. You will be able to see gorillas and chimpanzees. After breakfast, you will head to the visitor center. Your guides will brief you on gorilla rules and tell you what to expect in the forest. 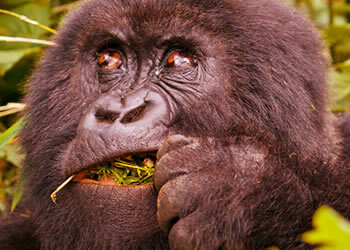 You will head into the jungle on a guided trek and spend 1 hour with gorillas when they are located. Return back to the lodge for lunch. Later in the evening, you may visit the villages to learn about the traditional ways of living such as agriculture, craft making of the BaTwa and Bakiga. After the tour you return for dinner and overnight at the lodge. After breakfast, you begin the journey from Bwindi to Kibale forest home to chimpanzees and other 12 species of primates. The drive time is 6-7 hours but takes you through plains of Queen Elizabeth national park via Fort portal to Kibale forest national park. Dinner and overnight at primate lodge/ crater safari lodge/ chimpanzee guest house. After breakfast, head to visitor center kanyanchu. Your guides will brief you and take you on a guided trek to see chimpanzee. 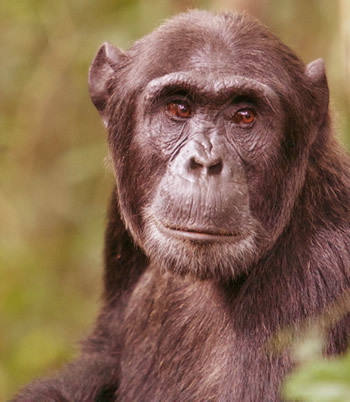 Tracking lasts for 1 hour while chimpanzee habituation takes full day. In the evening, you may take a drive to the crater lakes; there are about 52 lakes in the region creating beautiful scenery. After breakfast, you will transfer back to Kampala as you reflect on the wildlife experiences you have had during this trip. En route via Mubende town, you will visit the Nakayima tree, believed to be 500 years old and it was used as a shrine for the last king of Bachwezi Empire.